By road, Grenoble, Gap, Barcelonnette then take the D900 going to Digne-les-Bains and Montclar, and then the D307 on the right. 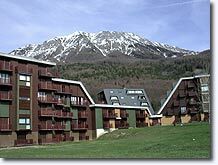 Saint-Jean Montclar is located on a high altitude pass linking the Seyne region and the Ubaye valley. It was awarded the "Mountain Village" label: a guarantee of authenticity, friendliness, and good value for money. This small family resort was built at the beginning of the seventies. It is testimony to the desire of the inhabitants of Montclar to create jobs for local farmers, so that they would not be tempted to leave the area and settle in town. "L'Eau de Montclar" was also born of this desire. It is the highest mountain spring in Europe (bearing the label "mountain spring water). Although the old village of Montclar no longer exists, since it was destroyed in the 16th century during the religious wars, there remain a few houses and hay barns scattered in a wooded vale overlooked by some high peaks. Above all, there is the La Salette chapel and its clock tower dating from the 19th century, the Saint-Léger chapel (no doubt built by the Knights Templars in the 13th century) and the Château de Montclar dating from the 17th century. The latter is still owned by the family that acquired it during the Revolution, and is not open to the public. La Salette chapels, St Léger chapel, and the Château de Montclar. The Dormillouse Battery (2,505m above sea level), was constructed in 1862, it was part of the Southern Alps system of defence against Italy. 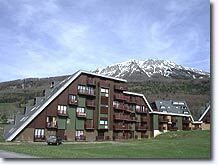 Access to two skiing areas (Blanche valley and the Ubaye valley) with 45 km of downhill ski runs, 4 chair lifts and 11 ski tows. Ski school, child-minding, children's club, skating rink. Cross-country skiing - Nordic skiing. Beautiful Nordic natural area culminating at 2,500 m. Paragliding and para-ski. Saint-Jean-Montclar, Chabanon and Le Grand Puy. 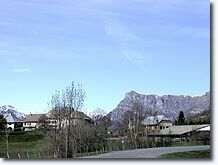 Saint Vincent les Forts (5km), Selonnet (8km), Seyne les Alpes (12 km), La Bréole (13km).